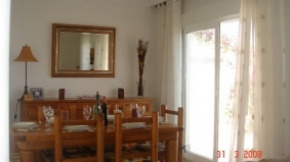 Las Cuatro Temporadas (The 4 seasons) property is a large well furnished 3 bed, 3 bath home with lots of outside terrace space and wonderful views, located overlooking the Marina Del Este and bays of Cotobro and Almunecar. 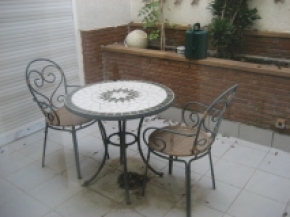 There is secure barrier entrance to the area, and the property has a gated courtyard/parking space in front of it. When you enter the property the modern kitchen is off to the right. 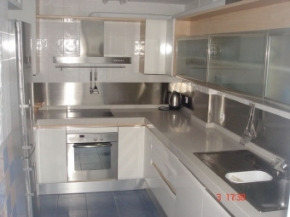 It is well equipped with dishwasher, oven, hob, coffee machine, toaster, kettle etc. To the left is a large walk in shower room. On through to the open plan living/dining room you pass the windows overlooking the internal atrium with seating and plant area, ideal for offering shade in the summer. The living room has free to view TV, DVD and music centre. 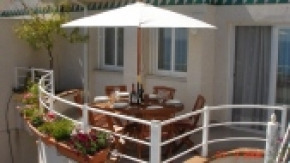 There is a large wooden dining table and 6 chairs with doors opening onto the terrace.The terrace has furniture to enjoy al-fresco dining, and a spiral stairway takes you to the lower terrace. 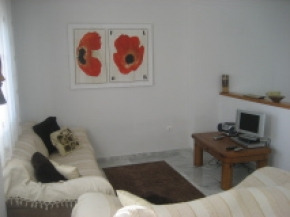 From the living room is the steps down to the 3 bedrooms and bathrooms and access to the lower terrace. The master bedroom is en-suite with double sinks in the bathroom with shower fittings. 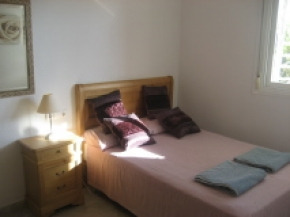 There is a further double bedroom, twin bedroom and family bathroom. 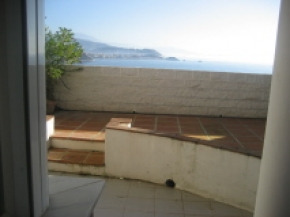 There is a door which leads out to the lower terrace offering wonderful views. 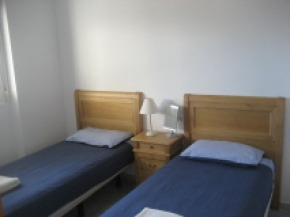 The property has aircon/heating, standalone fans, beach chairs, fold up bed for additional person, terrace furniture including reclining loungers. 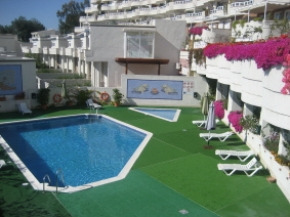 Just accross from the house is the communal swimming pool which you access via steps or a lift. 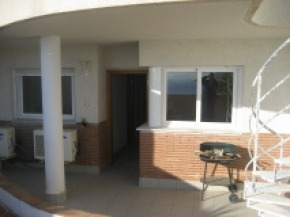 2 bedroom house with Rooftop Solarium in Gran Alacant Costa Blanca.